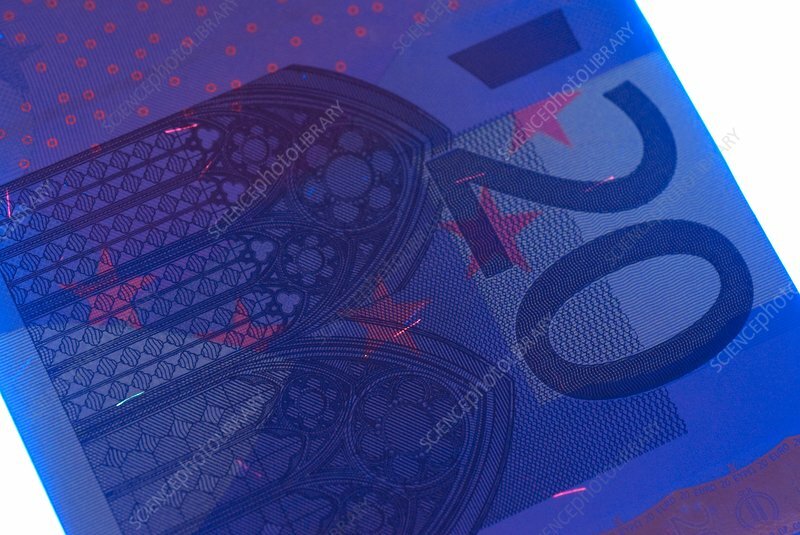 Euro banknote in UV light, close up. The design on this 20 Euro banknote incorporates a design that fluoresces brightly under ultraviolet (UV) light. This and other security measures are designed to prevent counterfeiting. See image C005/7756 for same note seen under normal light.